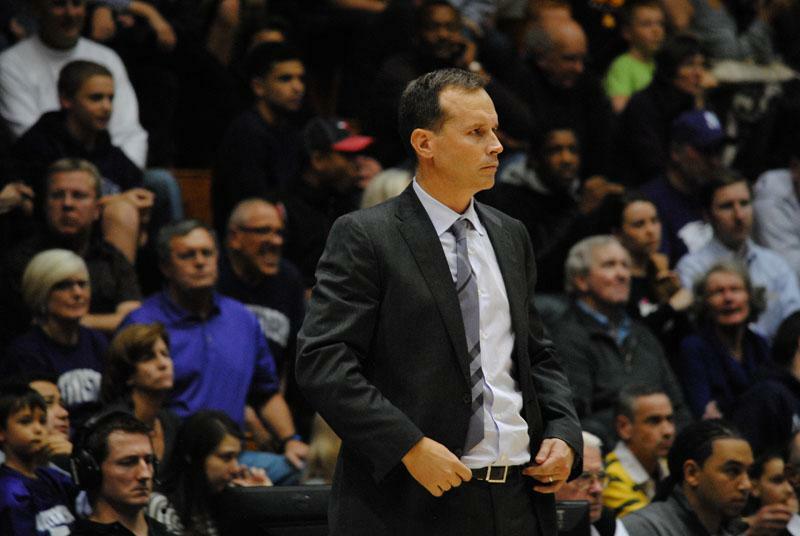 Chris Collins motivates his team. The NU coach collected his 100th win on Jan. 22, becoming the third coach in program history to hit triple digits. At the end of his team’s win against Indiana last week, Chris Collins made his way to the opposite bench to shake hands with Hoosiers coach Archie Miller. He didn’t even know that he had just become the quickest coach in program history to collect 100 wins. The 73-66 victory over Indiana gained Collins admittance into a club with only two other members: Bill Carmody, who won 192 games and made four trips to the NIT between 2000 and 2013 at NU; and the program’s winningest coach, Arthur Lonborg, who between 1927 to 1950 tallied 236 wins, two Big Ten titles and an unofficial national title in 1931. 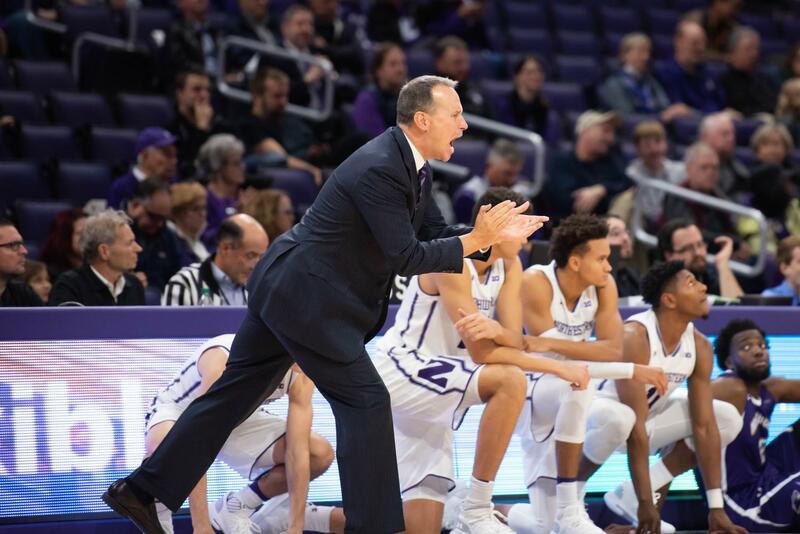 It was a milestone victory in Collins’ career with the Cats, but it was also his 427th career win as a coach in college basketball. Collins spent his pre-NU career learning from two of the sport’s most acclaimed — Harvard coach Tommy Amaker and Duke coach Mike Krzyzewski. Collins worked on Amaker’s staff — who has amassed 659 career wins at three schools — at Seton Hall from 1998 to 2000 before taking a job at his alma mater under the legendary Krzyzewski — the winningest coach of all time, with 1,117 wins — for 13 seasons. The Daily sat down with Collins on the heels of his 100th win and talked through some of his biggest wins at NU during his five and a half seasons in Evanston. 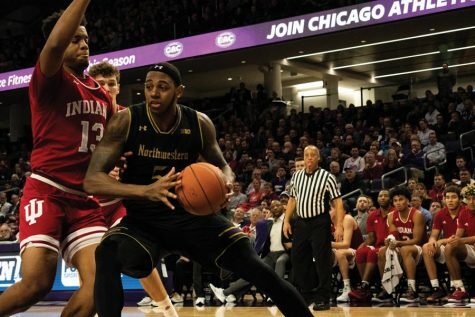 It wasn’t the prettiest of games — NU air balled four of its shots in the first half — but Drew Crawford scored 25 points and collected 11 rebounds to give the Cats their first win of the Chris Collins era. It was also a good omen for what would come ahead: Collins’ two predecessors Carmody and Kevin O’Neill had both lost their career openers. This was Collins’ first big-time win with the Cats. 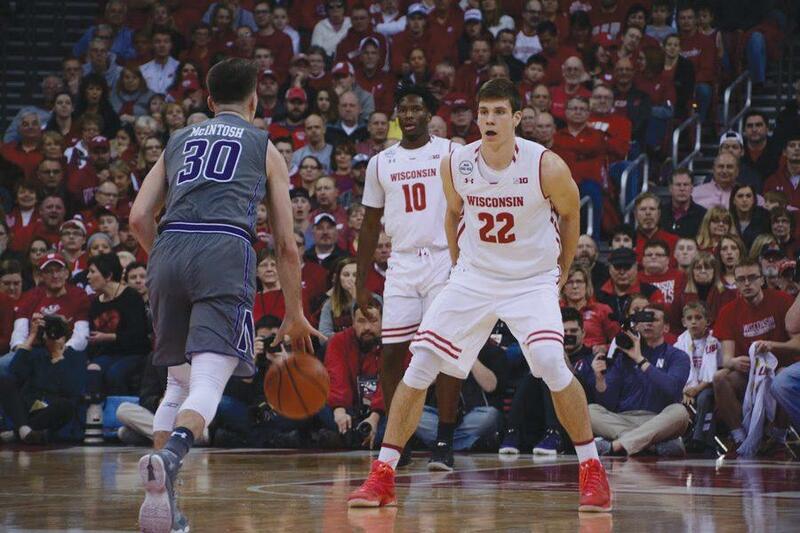 NU hadn’t beaten Wisconsin on the road since 1996, and had never won in the Badgers’ Kohl Center, but Crawford scored 30 points, and the Cats forced current NBA players Sam Dekker and Frank Kaminsky to shoot 5-for-18 from the floor. That Wisconsin team would advance to the season’s Final Four. The Cats entered this one on a ten-game losing streak, and when Iowa hit a buzzer-beater to send the game to overtime, it seemed like the streak might stretch to 11. The NU defense — which finished with 12 blocks — held steady in overtime. And with help from then-freshman guard Bryant McIntosh, who scored 18, the Cats picked up a memorable win. The Badgers were ranked No. 7 in the country at this point in the 2016-17 season, and NU had to face them without its leading scorer, Scottie Lindsey, who was sidelined for three games. 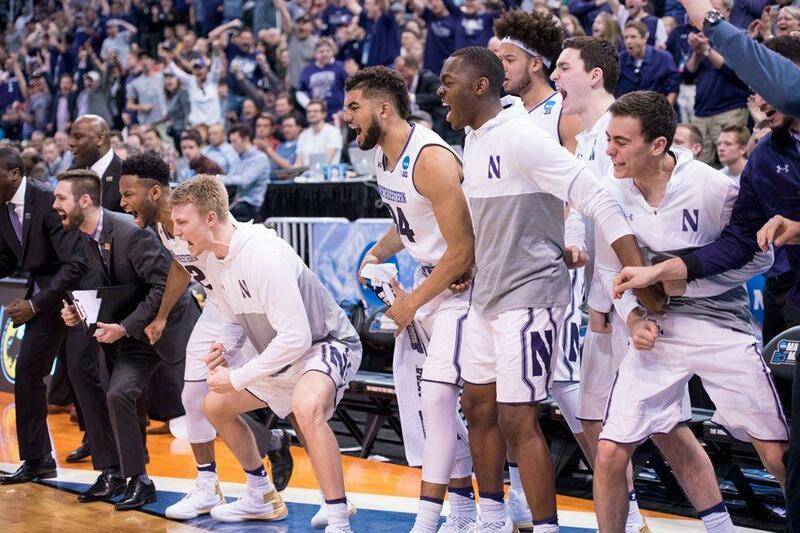 That wouldn’t stop the Cats, though; McIntosh scored 25 and NU defeated a top-7 team for the first time since 2012. The Pass. The Shot. The Game. This win will live on in NU folklore for the rest of Collins’ coaching career. Nathan Taphorn launched a full-court inbounds pass to Dererk Pardon, who laid it in under the basket, and the Cats essentially solidified their place in that season’s NCAA Tournament. What Collins says now: “It’ll always be special. To me, that was kind of the storybook finish to the movie. It was the team that had never gotten to the tournament, and you go through and you’re playing great and you lose one of your star players for a month, you lose some games and now it’s in doubt. I mean, we still might have gone, but we knew we needed one more marquee win in order to go to the tournament. So to be at home in front of a sellout crowd, to have it come down to the last second, full court pass, big drama, it was almost too good to be true. What I remember is just sharing, after that, the time in the locker room with those guys. The tears of joy, the raw emotion of what we had just accomplished not only for that group but also the fans and the people that follow the program that we’re finally going to see a Northwestern team play in the NCAA Tournament, was a pretty good feeling. Collins knew what the feeling of the NCAA Tournament was like — three seasons before he’d arrived in Evanston, he’d been on the court as the confetti fell and as Duke accepted its national championship trophy. He knew that it was important not just for his team to get to the dance, but to make themselves known at the party. With 25 points and a pair of late-game free throws from McIntosh, that’s just what the Cats did. It was a momentous evening all around — redshirt junior forward Aaron Falzon dropped a career-high 21 points and Pardon scored his 1,000th career point — as Collins finally entered the triple digits last week and the Cats collected their third conference win of the season.